"Dr. Stauffer's positive mindset and expertise coupled with her dedication and grit have served her well as she has broken boundaries and expectations for women in STEM," wrote former interim Provost Jeri Echeverria in her nomination letter for the award. "Her 20+ years of contribution and achievement as an inspiring leader on our campus and in our community are truly admirable, visionary and an essential part of change making for the future in STEM." Stauffer joined Sonoma State in 1994 as the University's first full-time computer science professor. Shortly thereafter, she established the Women in Computer Science group to support female majors. Early in her career, after seeing two bright young Hispanic men stop coming to class, she started focusing on efforts to support not just women, but minority students in STEM (science, technology, engineering and mathematics). In 2008, she founded the Sonoma State chapter of MESA (Mathematics Engineering Science Achievement), a national organization with 13 chapters at CSU and UC campuses across the state focused on providing academic support for minority students in STEM disciplines. "I don't do it for recognition," says Stauffer. "I do it because that's where my heart is." Since becoming dean in 2010, Stauffer has led efforts to inspire young people of all backgrounds to pursue STEM fields. One effort is the STEM Certificate Pathway partnership with Piner High School, which serves a diverse population in an underserved area of Santa Rosa. The partnership brings SSU faculty and students to the high school to meet younger students interested in the sciences, and brings them to SSU later in their high school career to tour the University and experience a taste of college life. Students in the partnership are guaranteed early admission to Sonoma State. Last year, she helped found the Women in Tech group, which brings female faculty together with female and male students to support women in the fields of engineering, computer science and physics, collectively known as "tech" in the STEM world. The group took home several awards at its first entry into Sacramento's annual Solar Regatta competition earlier this year against teams from UC Davis, San Francisco State and other large schools. "Our approach is to build community among these women in these fields," says Stauffer, who notes that nationally female students make up only 15 to 18 percent of the tech disciplines. 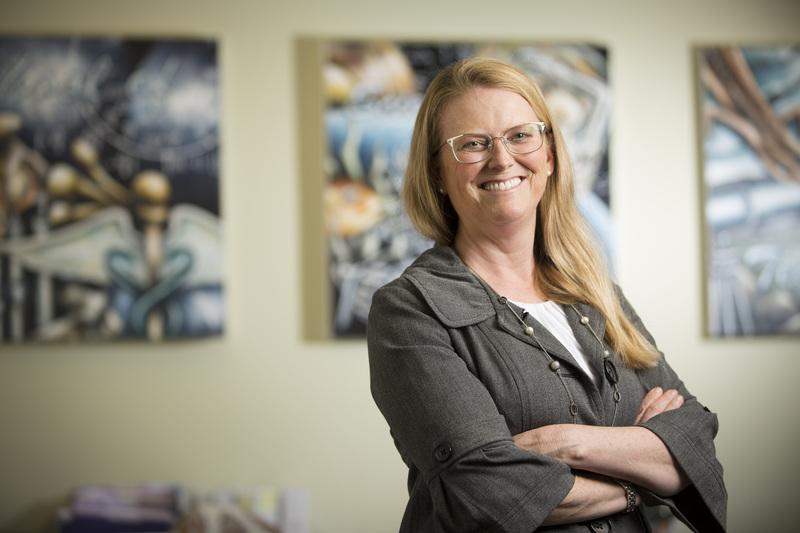 In 2016, Stauffer was selected by the North Bay Business Journal selected Stauffer as a Woman in Business Leader for her contributions to STEM education in the region. She was inducted into SSU's Honor Society for International Scholars earlier this year, and received Sonoma State University's Excellence in Teaching award as a professor in 2006. INSIGHT into Diversity is a diversity and inclusion monthly magazine and website in higher education with a readership of 300,000. In April, William Silver, dean of the School of Business and Economics, was honored with the magazine's Giving Back Leadership Award. Job opportunities for freshman and graduating seniors alike will be available at Sonoma State University’s annual Career Fair, where companies and organizations from across the Bay Area will be looking to hire SSU students.